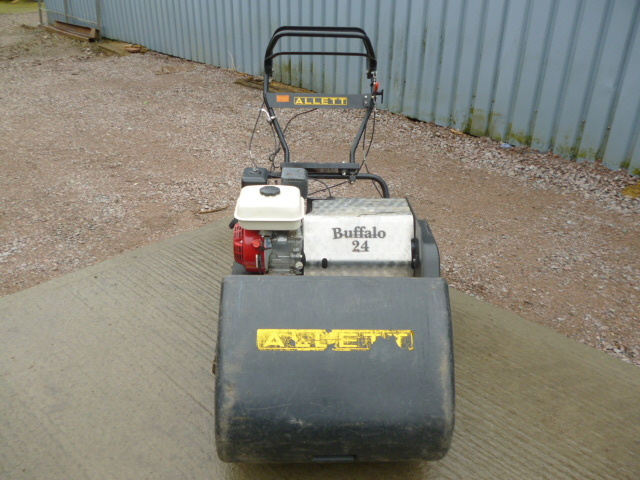 Brief Description: ALLETT BUFFALO 24. 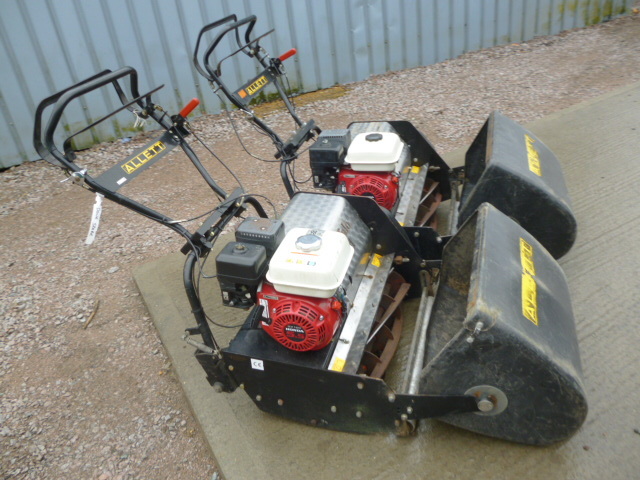 6 BLADE LARGE CYLINDER, FOR LONGER GRASS. HONDA PETROL ENGINE. 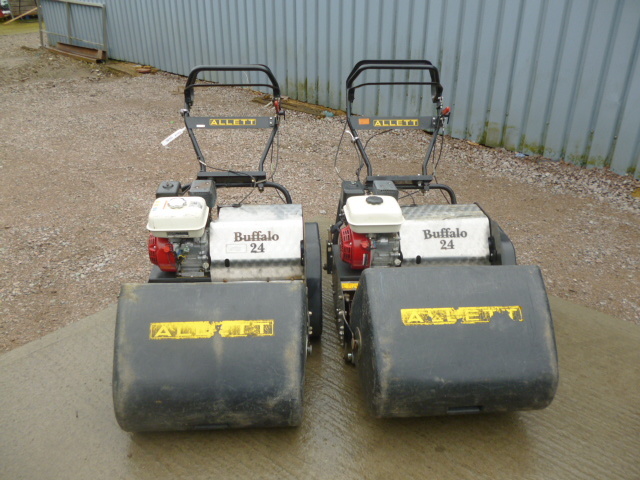 More Information: The "maid-of-all-work" in Allett's pedestrian mower line-up, the Buffalo has become the cylinder mower of choice for professional users such as local authority parks departments, private estate gardeners, grounds care contractors and the Commonwealth War Graves Commission, many of whose immaculate cemeteries and memorials are maintained by Allett Buffalo mowers. The Buffalo range offers customers a choice of four mowing widths, all of which can be specified with conventional rear roller drive or, for those wanting to maintain longer grass using a cylinder mower, a pair of driven rear wheels in place of the roller. 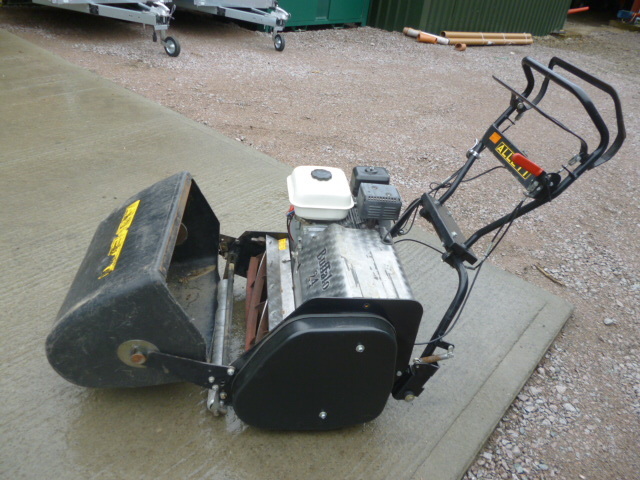 For those wanting a robust, all-purpose cylinder mower capable of cutting equally well in dry or wet conditions, the Buffalo 24, 24 and 27 provide a range of widths to suit virtually all regular cylinder mowing applications from smaller gardens with narrow access gateways up to larger open grass areas, pathways and verges. The Buffalo 24, 24 and 27 are ruggedly-built mowers with large diameter cutting cylinders which give them the ability to cut longer grass, even in wet conditions. Engineered to operate effectively at low engine speeds, the Buffalo delivers low fuel consumption, noise levels and vibration helping reduce wear and tear on the mower, the operator and the environment. Developed primarily as a lightweight sportsground mower, the Buffalo 34 is a compact, beautifully-balanced machine offering minimal compaction and exceptional manoeuvrability on open or confined areas. Despite its low weight, the Buffalo 34 is very robust, combining a long working life with ease of maintenance, setting and operation. The Buffalo range can be had in two very different specifications. First, as a conventional cylinder mower with full-width front roller, rubber-covered rear roller and a grassbox for regular (and not so regular) mowing of ornamental, sports and amenity grass. Alternatively, the Buffalo can be supplied as a wheeled machine with the front and rear rollers replaced by two anti-scalp rollers at the front and a pair of wheels at the rear. 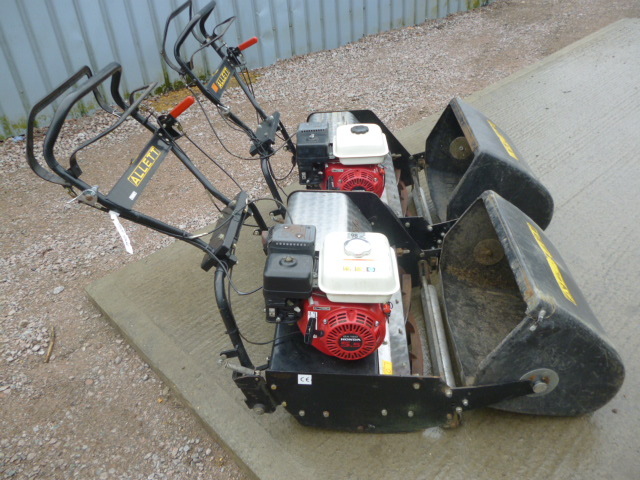 This configuration allows longer grass to pass through the cutters to be discharged at the back between the two rear wheels. 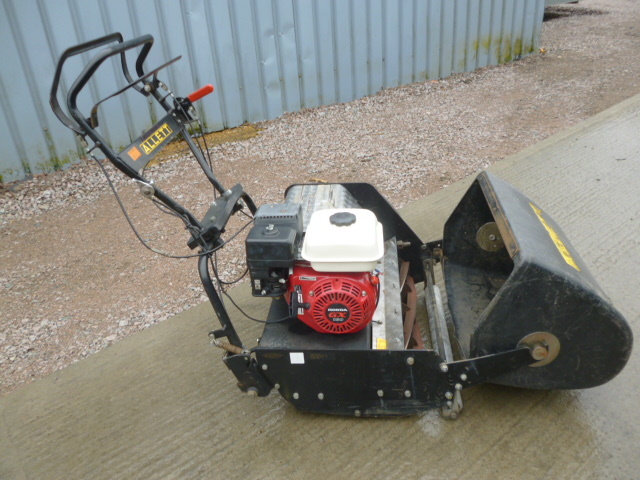 The principal benefit of the wheeled Buffalo is that grass up to 200mm (8in) in length (and even longer in ideal conditions) can be cut successfully using a cylinder mower.